Three levels of uninterrupted viewing plus a water level platform, gets you as close to the whales as possible. Over 5 hours to relax, unwind, be awestruck and pampered while enjoying delicious catering for morning, afternoon teas and tropical buffet lunch. 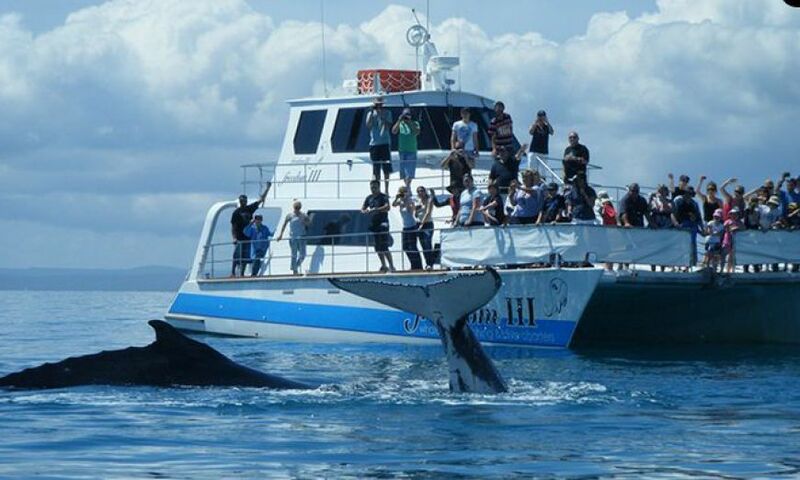 Make your whale encounter a memorable as well as an educational one.